This week we travelled into Liverpool to meet up with some family, it is something I wish I braved more. When I actually do it it is fine but I put myself off thinking of all the things that could go wrong. Lucas was actually great on the way there, quite happy to sit in his buggy on the train and there was plenty for him to spot. 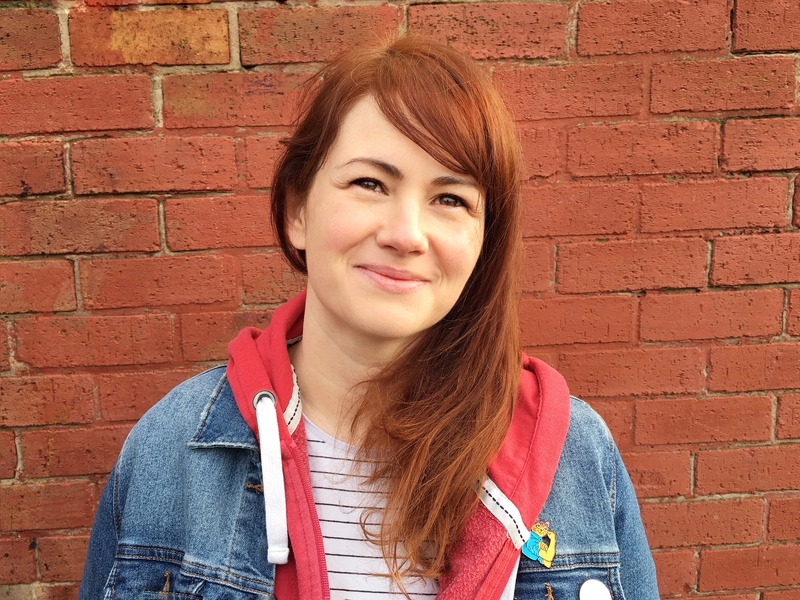 The weather was lovely and sunny and we were looking for a park for the children to play in; sadly Liverpool city centre is greatly lacking in child-friendly outdoor space. They have some fantastic parks out side the city but a some more city parks would be great. They have a lovely park up by Liverpool One but it isn’t enclosed and there are too many steps for me to be able to relax and let Lucas run around. They did however have an amazing book swap tree which my Nana was very happy to use and swap one of her old books. 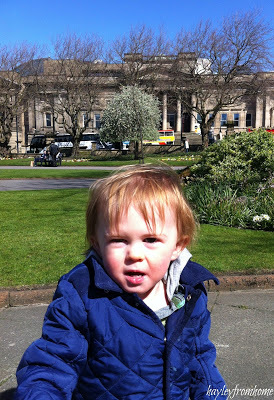 Instead we headed to St John’s Gardens which are in front of St George’s Hall and the World Museum. These gardens are a little more enclosed and have lots of paths and statues to explore. I didn’t get to take many photos as I didn’t want him to run off too far but we had a lovely little play in the sunshine. 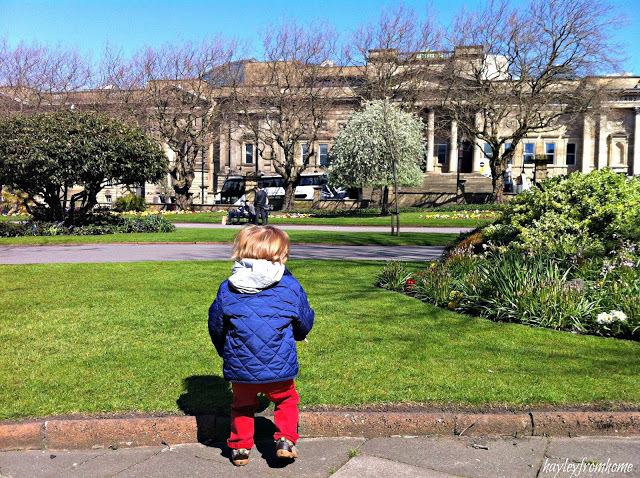 I love to take Lucas round Liverpool because I grew up with trips into the city, it is just home to me and I want him to feel the same. As he gets older there will be more we can see, new places to explore and more museums to visit. I can’t wait to experience more of my favourite city with my little man. That park looks a lovely little haven in the middle of a busy city, the tree is genius! The tree is a wonderful idea, but how do they keep the books all dry? Safe run-a-round space is essential with a toddler. Glad you found somewhere suitable to allow Lucas a little freedom in such a large city. Thank you for linking up. Glad you found the space to enjoy the weather. 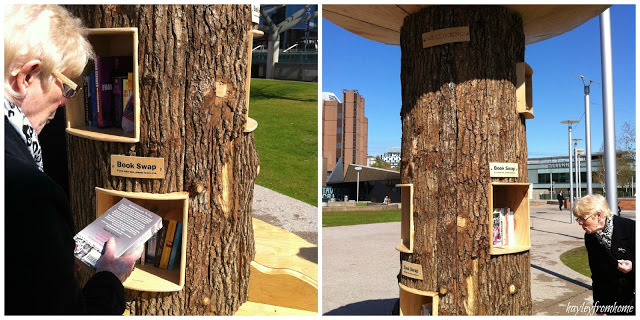 That book swap tree is uber cool!